This is a fairly attractive variant on a popular 21st century typology, the townhouse with a ground level garage. 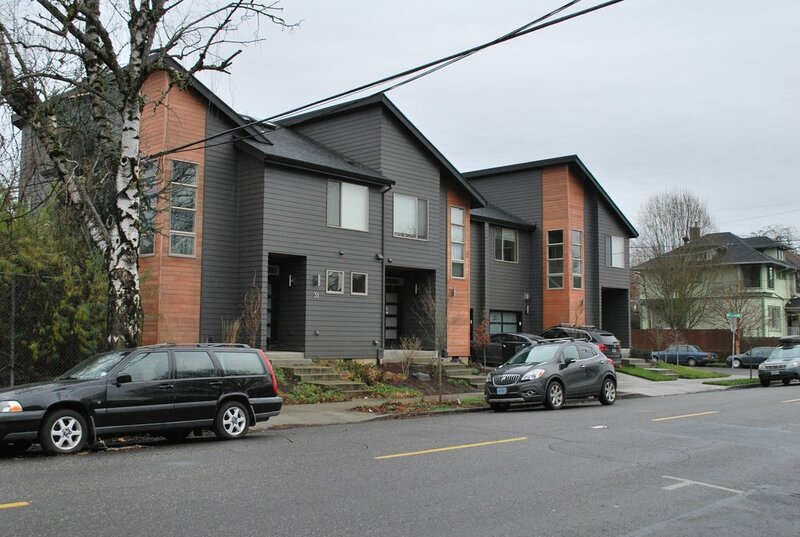 In this case, two smaller townhouses bracket a larger one in the center. The two eastern units share a curb-cut which provides access to one-car garages. The western unit has a detached garage at the extreme northwest corner of the lot, where it fits nicely due to an irregular lot shape. 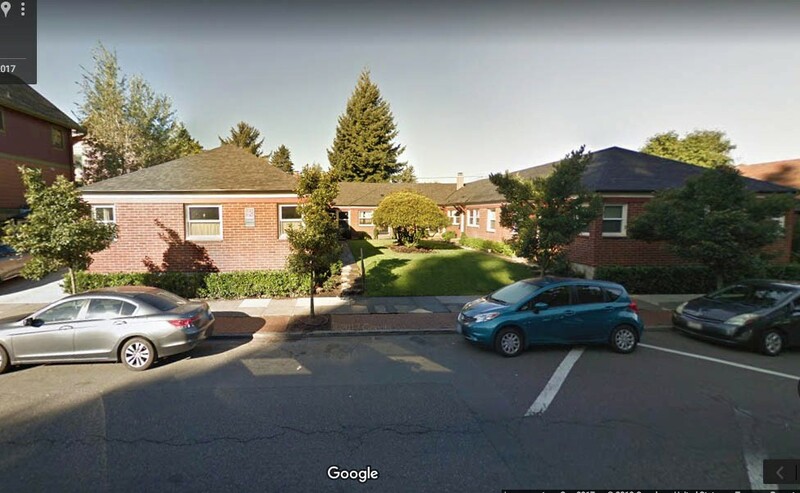 Like many infill typologies, this works much better on a corner lot, since the new sub lots can re-orient toward the long side and still face a street. This developer resisted the urge to make the cars occupy most of the ground floor and make up the lost residential square footage with a third floor. The mini tower format certainly maximizes the amount of house the developer is selling, but it leads to a home with little to no relationship to the outdoor space, and leads to a lot of climbing stairs, which is less desirable for older residents, and irritating to just about everyone. 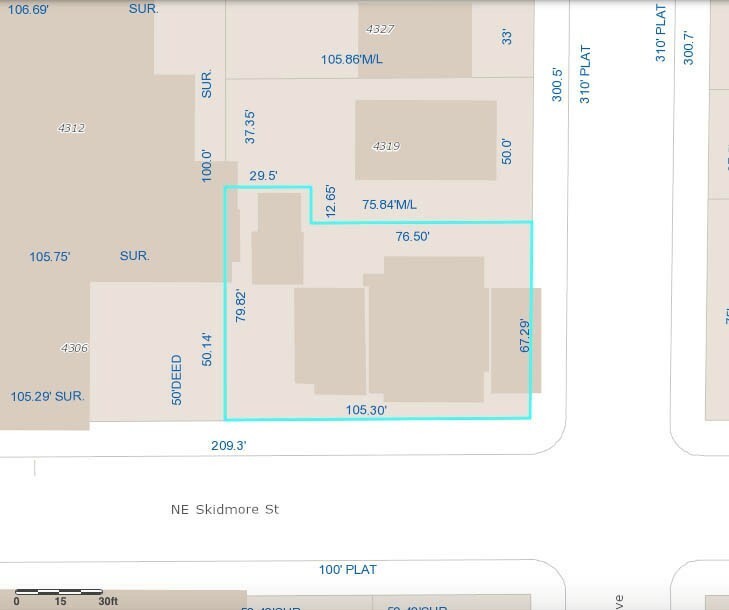 41 NE Skidmore site plan. It’s noteworthy that this project was developed as condos. The three units sit on a single lot and the owner is listed as the Home Owners Association (HOA). This may be a result of the fact that land divisions to create new lots out of a larger parent lot take a long time and add cost and complexity to a project. This project is the first attempt we’ve seen to replicate the 1920s single-story bungalow court format. 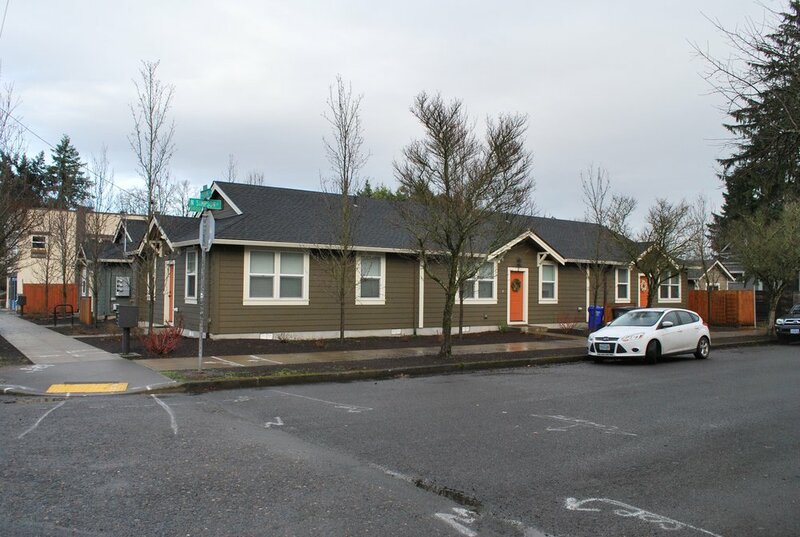 There several great examples of the original prototype just north of here, along Albina Ave. There are a few caveats. This is actually configured as a pair of separate linear triplexes. They are on separate lots. Both lots are 5000 sf and are zoned R2a, which allows one dwelling unit per 2000sf of site area. The “a” overlay denotes Alternative Density Design Overlay, and it’s provisions likely facilitated the total unit count of 6 DU on 10,000sf. 6337 N Albina - Example of a typical 1920s courtyard building. These triplexes represent a very attractive typology, from a resident’s point of view. Individual front doors give the units a home-like presence on the street, as opposed to an anonymous shared hallway in an apartment type structure. All units have at least two window walls and end units have 3. This particular development has small fenced private back yards. This makes this typology more attractive to families with children. 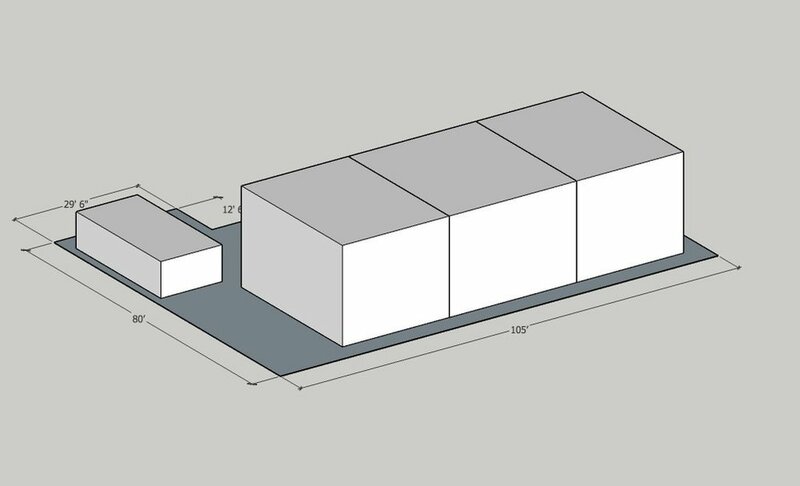 Ideally, these buildings could link up and form a U-shape around a central courtyard.